The private equity firm is selling shares in a 611 mln euro fund at a 13 percent discount. That’s sensible for an asset class as chequered as listed private equity. Buyers will have to balance value against an untested strategy and little control. They shouldn’t count on a pop. 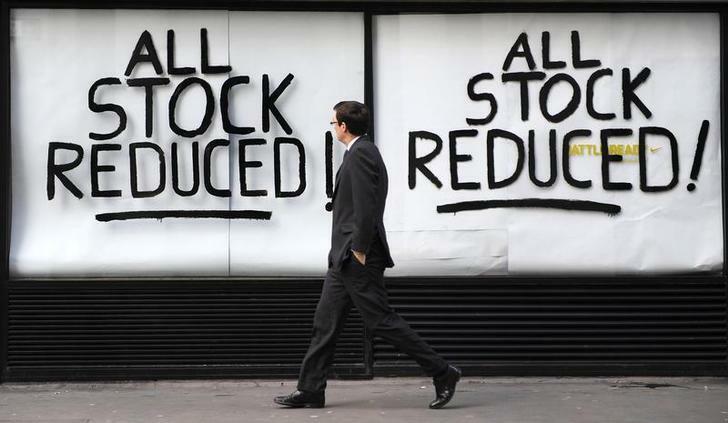 A worker walks past discount signs on a sports retail store in central London. Apax Partners plans to list a 611 million euro fund of private equity investments, called Apax Global Alpha. The fund will also raise an additional 250 million euros from new investors.